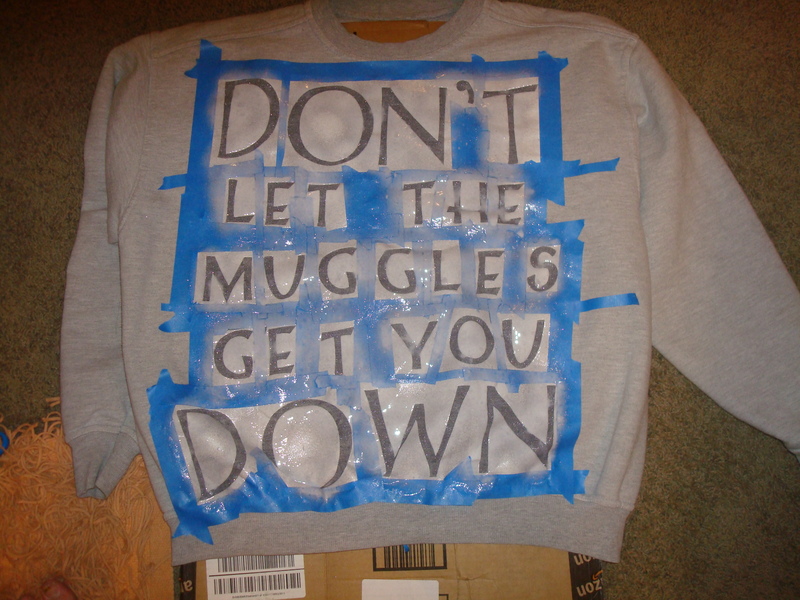 I saw a cool Harry Potter sweater on Pinterest, and decided to make my own! 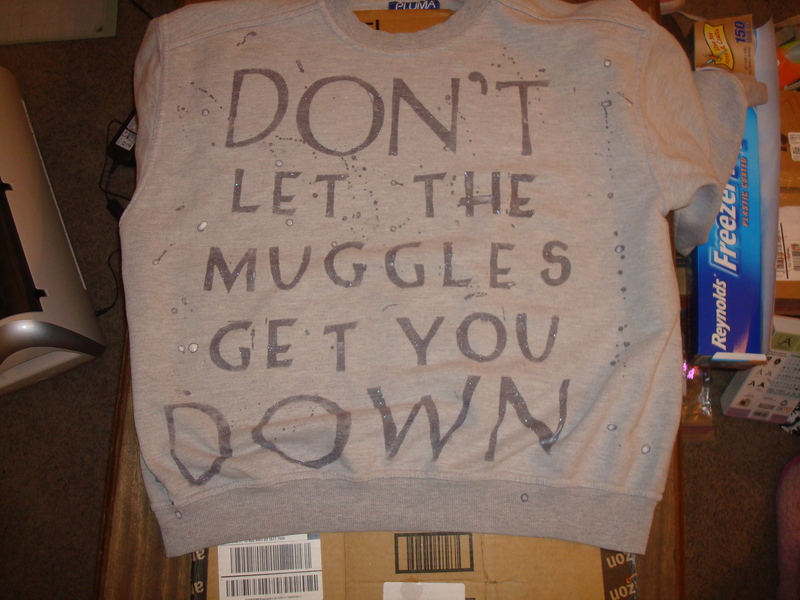 That’s a quote from Ron’s letter in Harry’s birthday card from Harry Potter and the Prisoner of Azkaban. 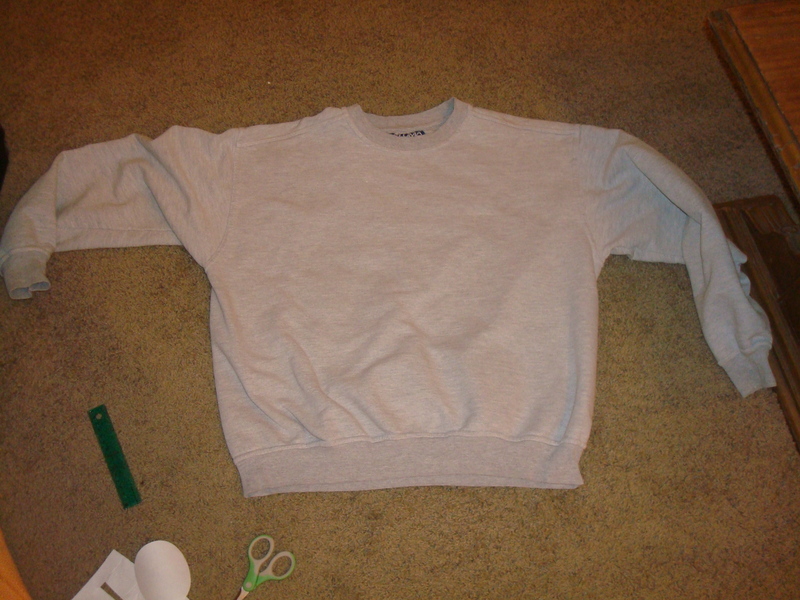 Lay out your blank sweater. Cut the freezer paper to say whatever you want….when you cut it, have the waxy side down (don’t throw away the insides of letters – you’ll need those!). 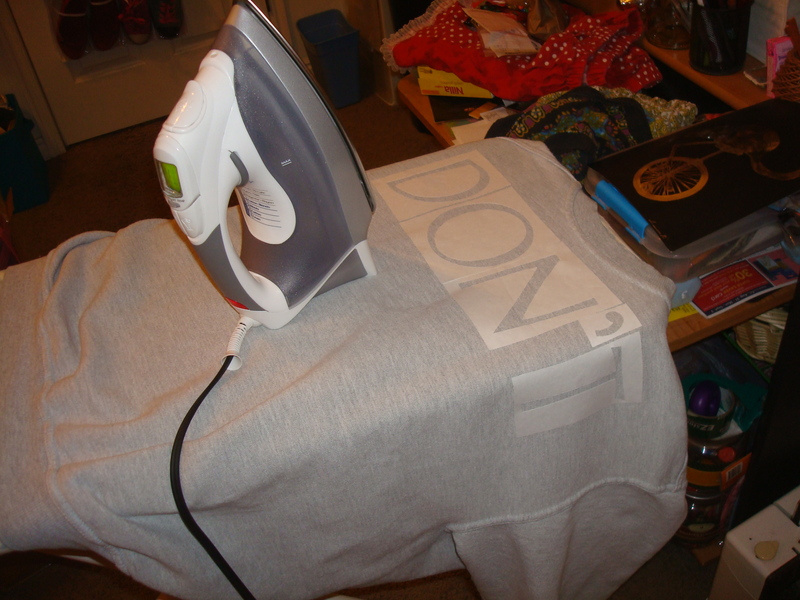 Iron the letters onto the sweater! 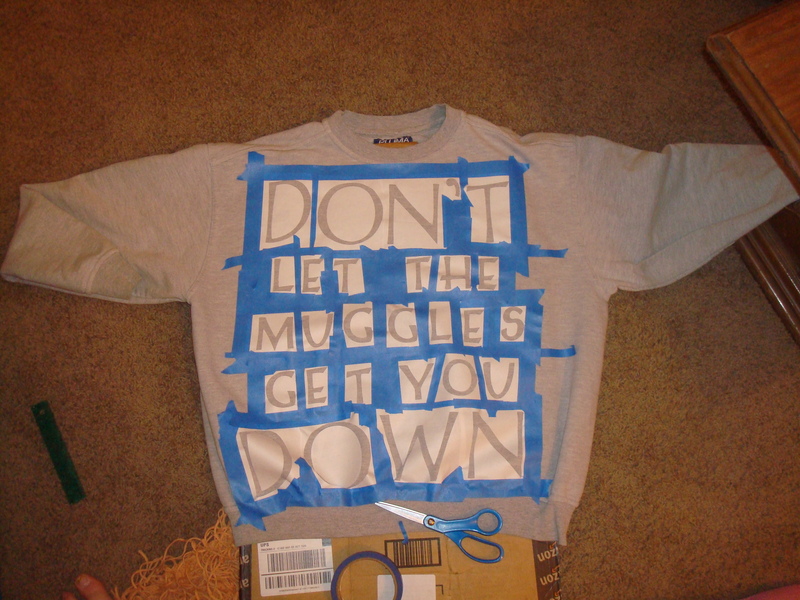 Make sure the waxy side is on the sweater. 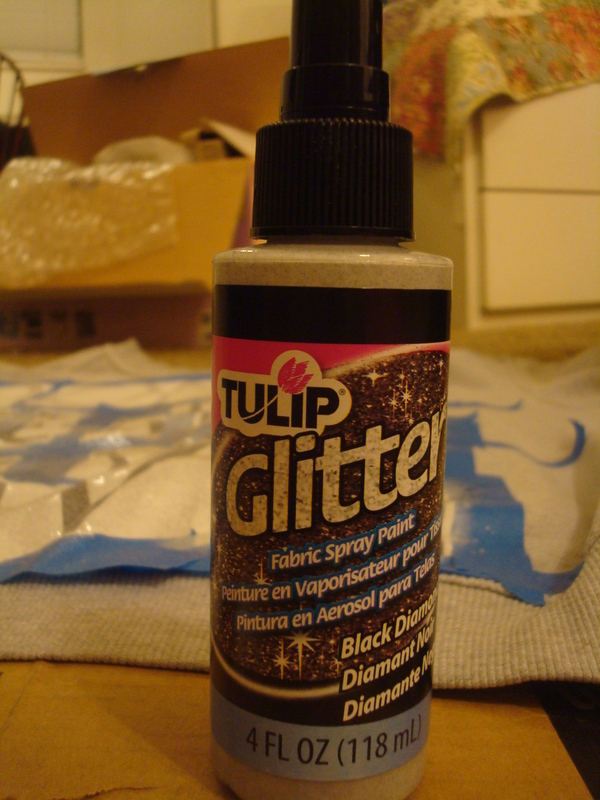 And spray/paint your heart out! 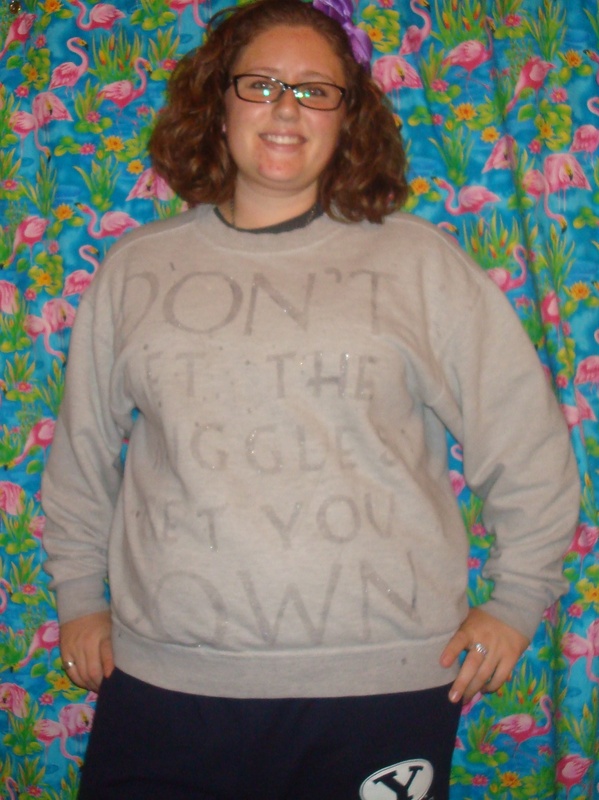 And here it is! 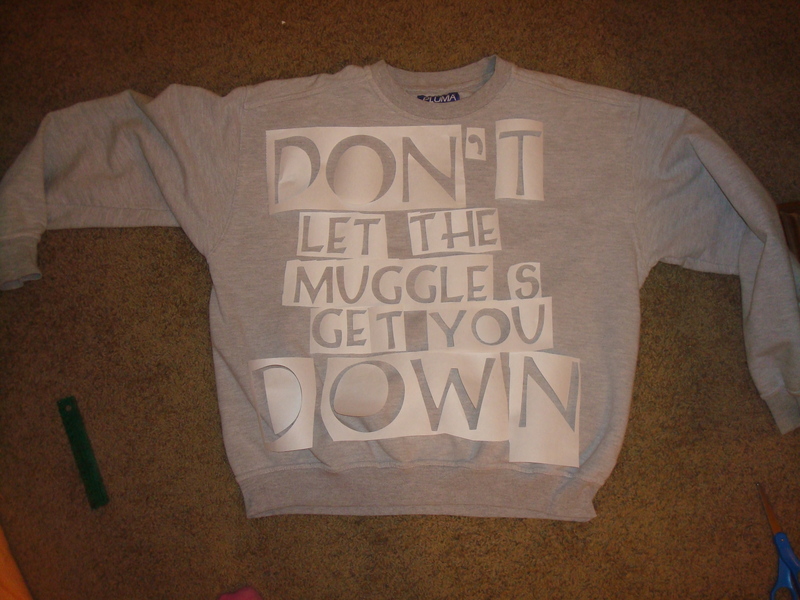 As it dried, it got lighter….unfortunately…but I still love it! 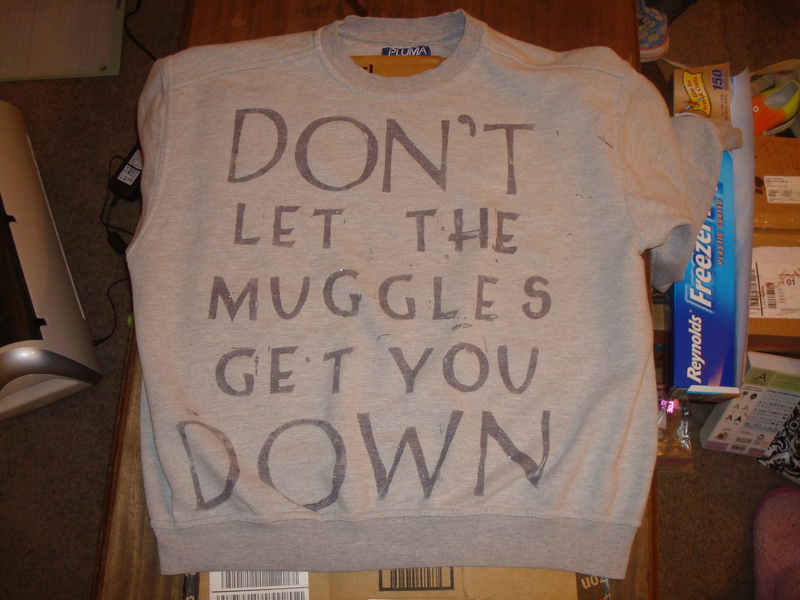 Don’t let the muggles get you down.